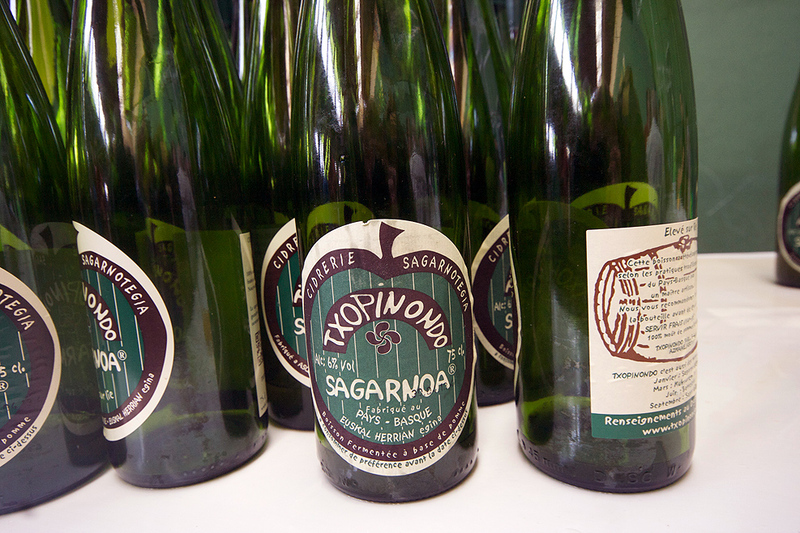 The rolling green hills and apple orchards some 7 km south of San Sebastian make up the heart of Basque Country sidra natural production. 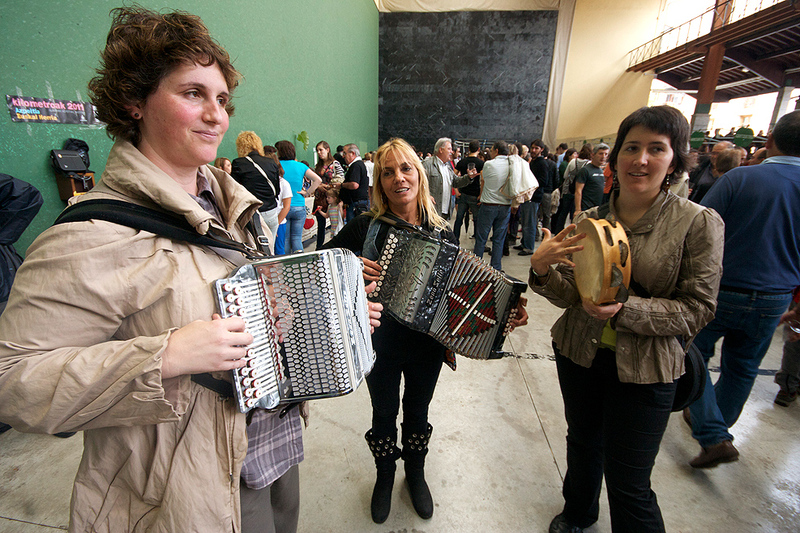 The towns of Astigarraga and nearby Hernani are home to some fifteen Sidrerias, or Sagardotegia, as they are called in Basque. 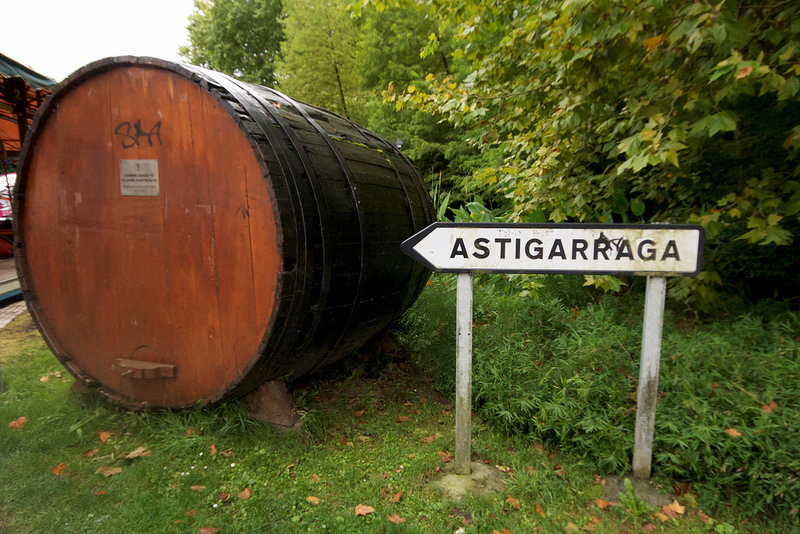 The Sagardoetxea, or Museo de la Sidra, offers a tasting room, an equipment and video presentation in separate building, a walking tour of an apple orchard mock-up, and an overview of the history and process. In my case I arrived at the museum along with an Canadian couple so we were given a tour in English. 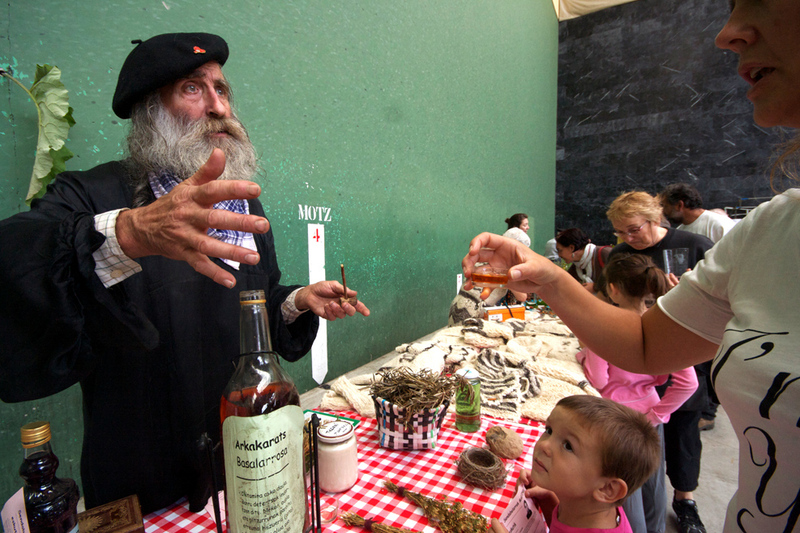 A similar tour at the Nava Sidra Museum in Austurias was entirely in Spanish and my translation was poor, so details about the malic acid process, for example, were probably not interpreted clearly by me. 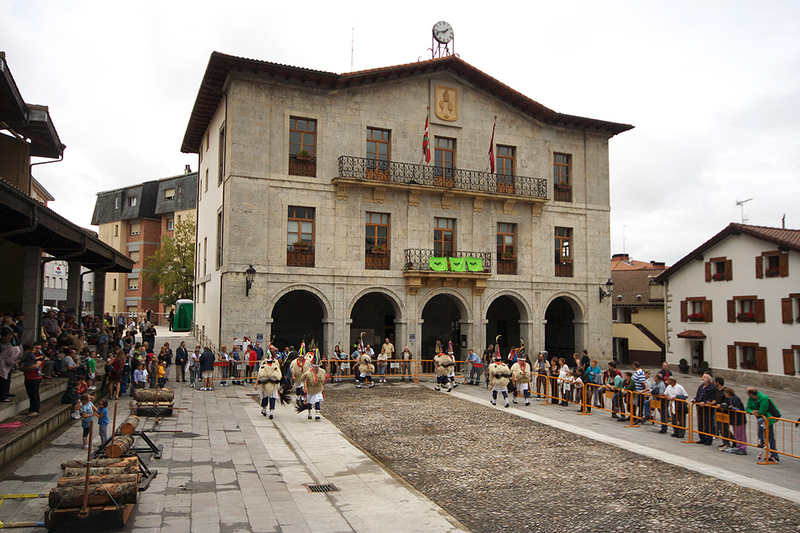 The first day I visited Astigarraga I found the town curiously empty. Some bars were open but empty of all but staff. I noticed small groups walking around a fenced greenscape and into a narrow street climbing a cobblestone hill. I followed them. 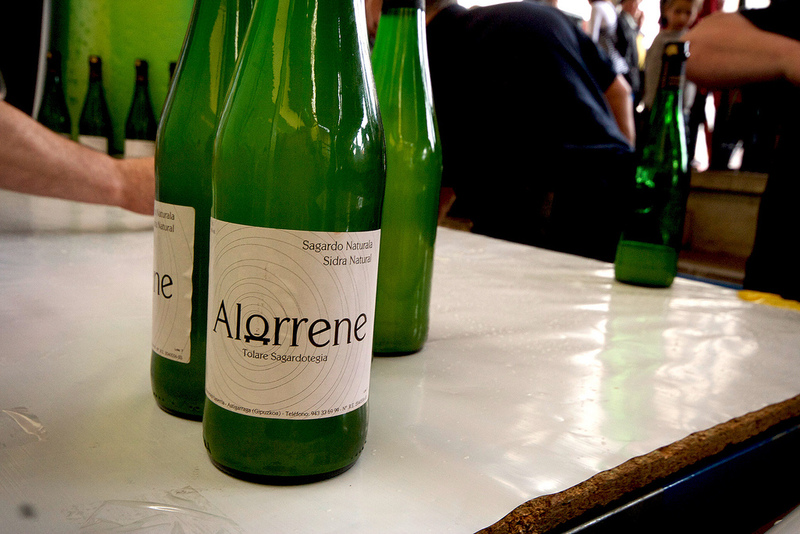 To my surprise I walked straight into a festival of sidra natural, with bottles from roughly twenty sagardotegia all from Basque Country, one or two from across the nearby border with France. 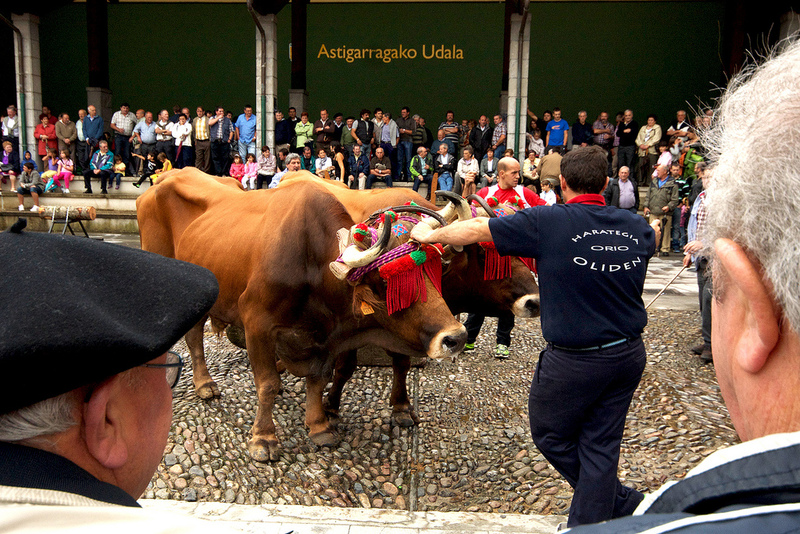 What the Basque call “Giza-abere probak”, which translates to “human-animal tests”. 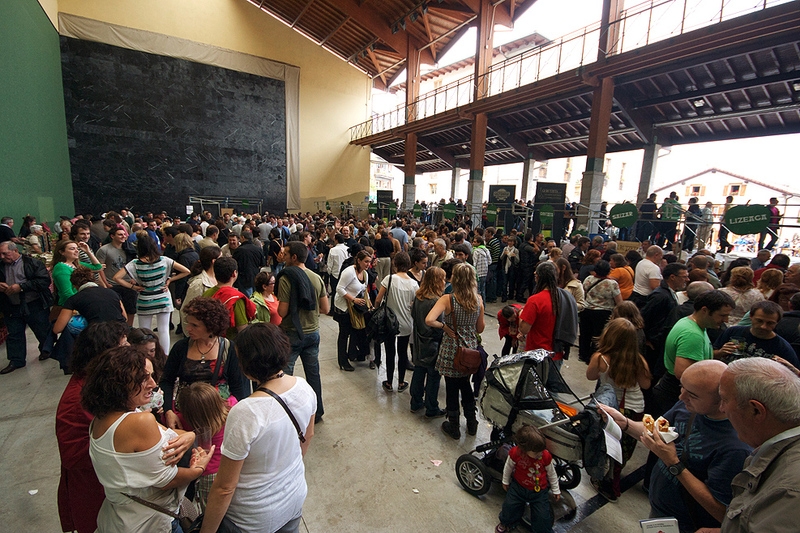 Pintxos and sidra natural for lunch at an unplanned festival. Being lucky beats being good today. 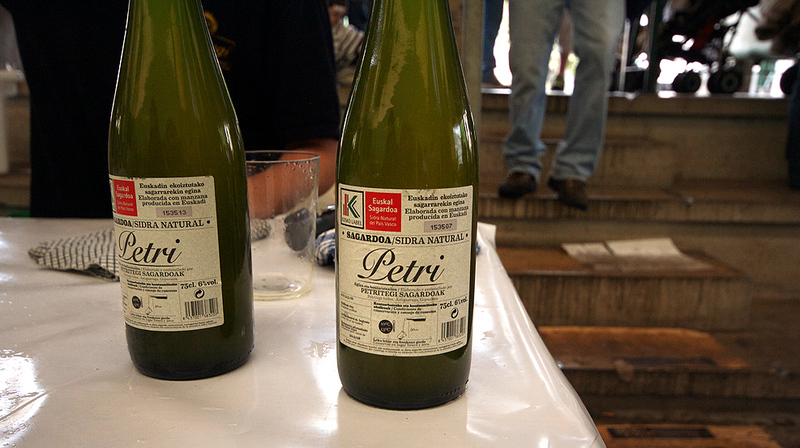 Sidra natural from Alorrenea, a personal favorite. 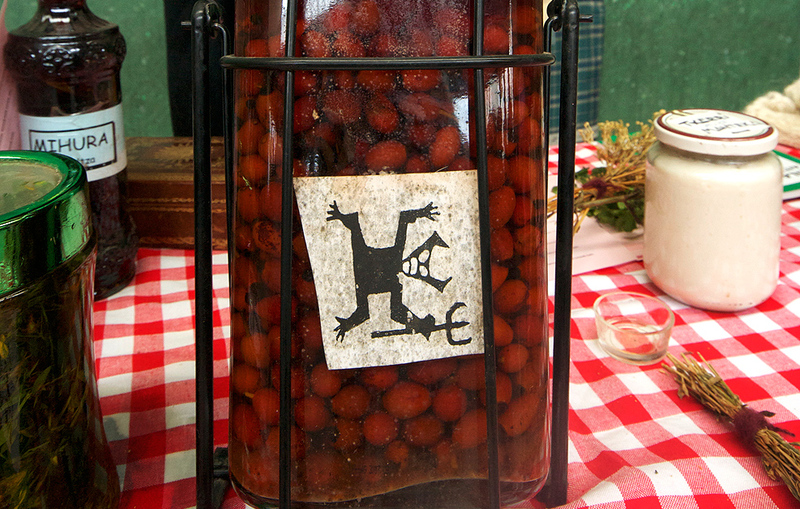 Lizeaga Sidra Natural Eusko Label. 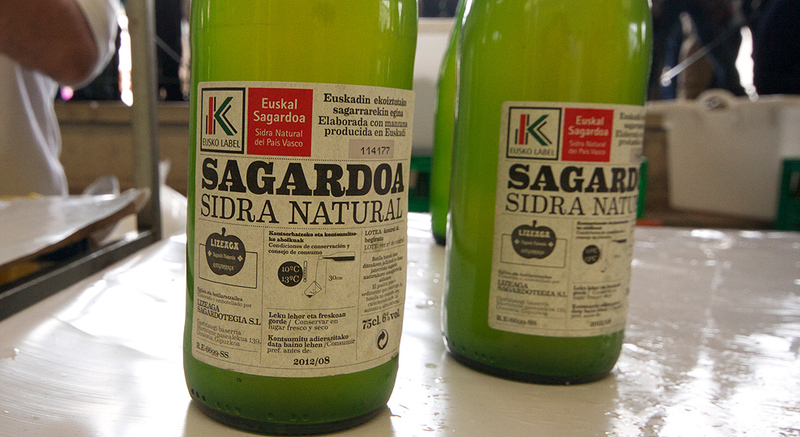 An Eusko Label is sidra natural made entirely with locally-grown apples from the grounds, while standard label sidra usually includes a larger mixture of apples from different orchards and regions.